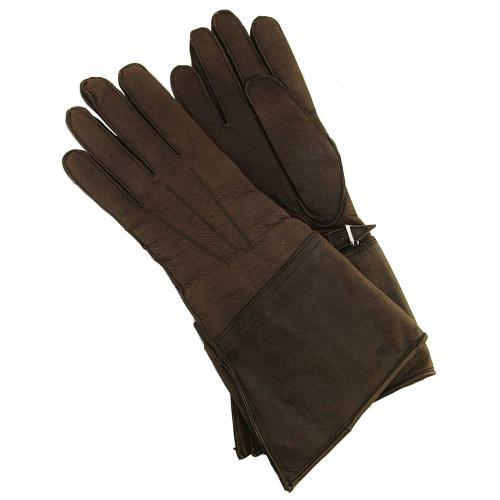 Dark brown chromed leather gloves with a side gussetted cuff section. Adjustable at the wrist via leather straps with pronged buckle fasteners. Felt lining within the glove section but unlined at the cuffs. Overall condition is very good but there is colour variation between the two hands. The gloves are supple and undamaged with just normal wear and use. The linings are also good and have clear markings. Stock code GA19407.